Should I Set an Asking Price for My Company? No. Perhaps the shortest and certainly the clearest answer in the English language. 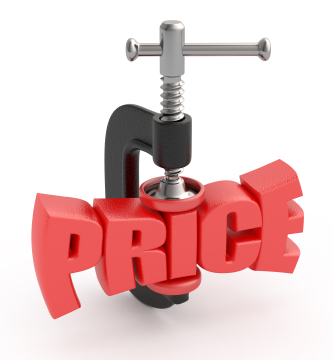 We always tell clients that nothing is gained by putting a sticker price on their business. Of course at the start of any project we put a value on the business using our experience of the prices really achieved for private companies. Not least to make sure that the client will sell within the most likely range of selling prices. We just don’t make that price expectation available to the buyers. Why do we prefer to work this way? Setting a sticker price puts a ceiling on the price. Higher prices are sometimes achieved when a company has dramatic growth potential or offers high levels of synergy to a buyer. If several buyers want a company a bidding war can drive the selling price outside the normal range. Sometimes an inexperienced buyer just offers too much. This will not happen if a sticker price is set. Sellers are aware that buyers will offer below the sticker price. To allow for this they set a high sticker price. This creates another set of problems. Buyers just will not get involved with a sale process if the sticker price is too high. It takes a lot of effort to buy a company and if buyers believe the sellers have unrealistic value expectations they will not want to waste time by getting involved. This is bad news for you as the seller. You will miss out on offers that should be made, and have fewer engaged buyers in the process. As a result there will be less prospect of raising the price through competition. Worse still you also miss out on one of the single most important piece of information in any company sale process – how other companies in your industry, and private buyers, really see the value of your business. Setting a high sticker at the start, with a view to later lowering it, creates a longer lasting problem. Once a market perception that your price expectations are too high is set it is very difficult to restart the sale process. Buyers are reluctant to re-engage after passing the first time. We recently marketed a business that had been for sale two years with another broker at a totally unrealistic price. Even though we were a new broker many potential buyers in the industry just would not get involved. Some that did come back clearly felt they had the sellers over a barrel.